Printable Christmas Gift Tags, Invitations & Decorations – New! Carnival Directional Sign templates – New Sizes! Circus or Carnival Signs – New Large Sizes! Art Birthday Party Theme Printables – New! 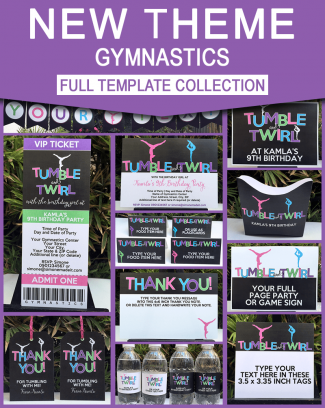 Gymnastics Birthday Party Theme printables – New! Paris Baby Shower Theme Printables – New! Star Wars Birthday Party Invitations & Signs – New Designs! Trampoline Birthday Party Invitations & Printable Templates – New!